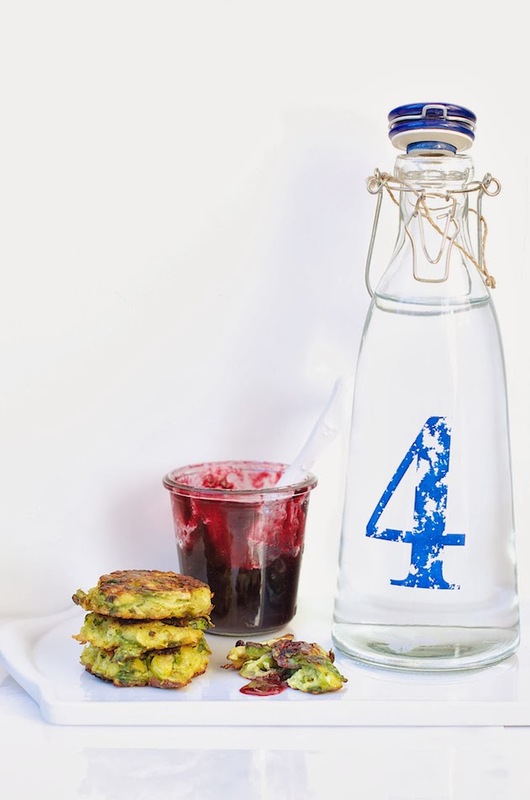 I developed this recipe for California Olive Ranch's 'Holiday Classic re-invented with EVOO' campaign. It was a no brainer since the miracle of Chanukkah was all about this little jug of olive oil that could. Besides, olive oil is a large part of my cooking on any given day not just the holidays. In addition to shallow frying latkes (potato pancakes) in olive oil, I also wished to re-invent the latke this year. I've been obsessive as you know about everything Brussels sprouts, so here you will find a hybrid. 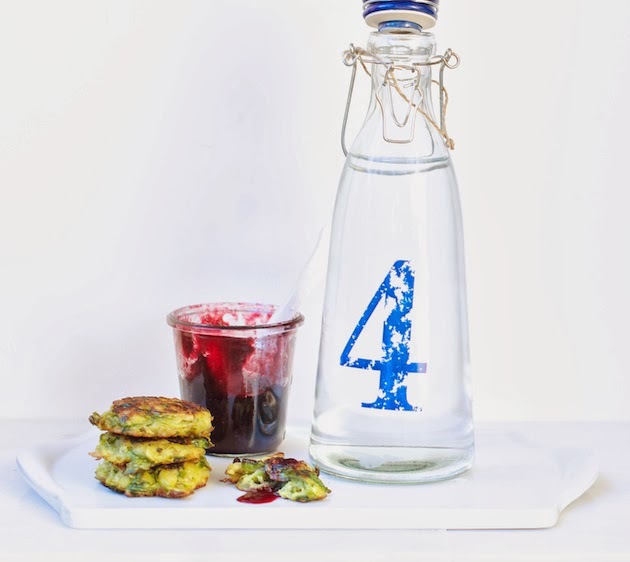 While this year these Brussels Sprouts Potato Latkes will be served for Thanksgivukkah, I tend to make the same mini latkes (pancakes) version and serve them at a New Year's Eve cocktail party. I dabbled some of the Concord grape jelly on these (oopsy! :) but a cranberry sauce will go even more sensationally as a pairing. Let me back track a bit. A couple weeks ago Jonathan and I drove up to MA to visit S. Predicting that S is going to sweet talk me into cooking for him, his roommates and a couple of extra close friends, I brought up with me this trio of olive oils that just arrived in the mail. That and the entire content of our freezer, pantry and refrigerator that is. Since California Olive Ranch olive oil bottles were the only oil to be found in S's place, I used it in a multitude of dishes I made for the guys. Including an olive oil, fresh garlic and lime chicken fajitas marinade. S was a willing apprentice mashing some avocados, four to be exact, into guacamole. When we were heading back home, S on the phone told us that one of his roommates made eggwich-es for the guys for breakfast with a touch of the leftover Miller's Blend olive oil. I left the Miller Blend with S and brought back the Arbosana and Arbequina back to Virginia. I love the purity and refreshing flavors and aromas of all three. They complement the dishes so well without being overwhelming. 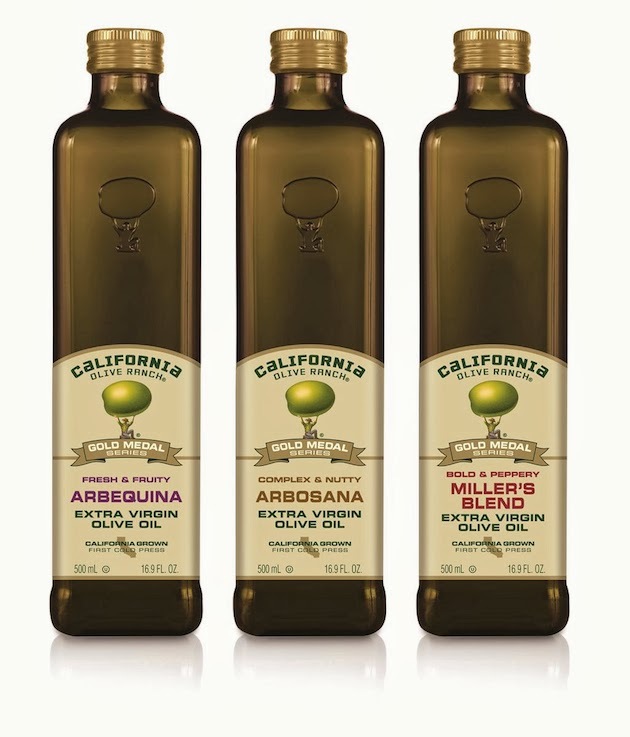 I have had quite a challenge finding olive oils that I loved and now I find myself addicted to California Olive Ranch. The tradition of olive oil in California dates back 300 years to when the Spanish brought to California the first olive trees. I was surprised to read about how old olive oil traditions are in California. I love the sustainable practices by the California Olive Ranch growers and the fact that the bottles are 100% recyclable. I am super excited to offer the trio of extra virgin olive oils gift pack (pictured above) provided by California Olive Ranch to one lucky winner. Sorry my international friends, readers with a US address only. Please enter in the Rafflecopter widget below. The GIVEAWAY will run from 12am EST on Tuesday 11/19/13 till 12am EST on 11/26/13. The lucky winner will be selected via random.org. This post is a part of my professional collaboration with California Olive Ranch. In a small sauté pan on medium/high heat, add 2 tablespoon olive oil and the jalapeño. Fry for a few minutes until crisp and slightly charred. Add the cumin and mustard seeds and continue frying for 1-2 minutes longer. Take off the heat. In a large bowl combine the grated potatoes, onion and shredded Brussels sprouts. Scoop the jalapeño, cumin and mustard seeds into the Brussels sprouts, onion and potatoes mix. Add the dill, cilantro and mint and mix. Add the eggs, flour, turmeric, black pepper and salt and mix well. Add 4 tablespoons oil into a large frying skillet on medium/high heat and scoop the mix with a tablespoon and fry until deep golden. Flip with a heat resistant spatula and continue frying on the flipped side until deeply golden. Remove from the skillet with a heat resistant slotted spatula onto a paper towel lined large plate. Replenish the oil as needed and continue frying. Alternatively, heat up the oven to 400F. Line up 2 cookie sheets with parchment paper. Brush each parchment paper with 1 tablespoon olive oil and scoop a dozen latkes onto each cookie sheet with space in between latkes. Bake for 20-30 until golden and flip with a heat resistant spatula and continute baking for 10 minutes longer on the flipped side. The oven baked latkes are not as pretty as the fried ones (pictured above) and have a slightly different consistency, but they are an easier, fuss free option. Author's note: The latkes will seem delicate but let them crisp and golden nicely prior to flipping them. They will settle and firm up as they cook. Those latkes are really original! I love that combo. Perfect. Those latkes look FANTASTIC! We love cooking almost anything with olive oil!! I cook almost anything that you can think of that you might use oil or butter with olive oil. Probably less so with baking but virtually all savory foods - roasted meats, caramelized onions, roasted vegetables etc. How creative - I love everything in these tasty little latkes. Happy Thanksgivukkah! I used to use olive oil almost exclusively but have recently been trying coconut and avocado oil. I love a really green fruity oo. Do any of theirs taste like that? And yes those latkes sound full of flavor! i use olive oil for everything--brownies, breads, proteins, etc. i use olive oil for everything from brownies to breads to proteins to sautees. One of my favorite things to cook that I love to use olive oil is roasted lemon shrimp. Oh my word, my mouth is watering now! Thanks for the opportunity to enter. I roast veggies once a week to for make-ahead lunches. I always use olive oil to season my veggies. Lately my veggies of choice have been butternut squash, sweet potatoes, brussels sprouts, broccoli, cauliflower, and carrots. Which don't I? Tonight I made rajas -- sliced onions and peppers cooked in a little olive oil and served in a tortilla. And I love to make focaccia and vinaigrettes. Not only do I use it for salad dressings, I use it to saute meats and I even use it for my rosemary and olive oil cornbread. Gotta have good olive oil for shrimp scampi. Olive oil is my primary cooking oil, I use it for everything - & especially love it with my pasta. Such a creative recipe for the CA Olive Ranch EVOO. Your latkes look divine, Shulie! Love that you used Brussel sprouts. I adore them and am always looking for new ways to incorporate them in a recipe...I'd love a few for lunch today! great olive oil is best with some nice bread! I use olive oil for everything. I even put it in my brownies!